ReVamp Restoration & Floor Care | Cabinets,Contertops and Floor care. Get Beautiful Cabinets & Countertops! Very Very Pleased with our service. The sectional looks like new again! YaY! And he was so nice to converse with! We will use his services again! I have a dog and 2 boys and they messed my carpet up pretty good. I thought I had to replace it but I called Rick and he did an excellent job. I will recommend him to my friends and family. I will never go to another cleaning and restoration company ever again. He stands out for great availability/price/ and customer service. His work spoke for itself. He knows what he is doing. Thank you Rick and I will gladly recommend you again. Embrace the comforts of home with support from Revamp Renovation & Floor Care. Our team proudly serves the Phoenix area with carpet cleaning and restoration services that safeguard create that “home sweet home” feeling and safeguard your property investment. When you choose our team, you’re getting more than exemplary service. You’re getting convenience. Quality. Transparency. Efficiency. And a place that fits your vision of your dream home. Your project isn’t our first rodeo. We come to every property with years of experience, hundreds of success stories, and expertise that guarantees you the best results. We care about your satisfaction, and we aren’t satisfied unless you’re completely thrilled with our service. Have any feedback? We’ll make it right. For your protection, we offer comprehensive coverage to support every carpet cleaning and restoration service. Every member of the Revamp team is trained & experienced to deliver industry-grade solutions to your home. When we approach a project, we do so with focus and precision. This means that you aren’t just getting a service – you’re getting a top caliber solution. By investing in the best cleaning and restoration technology, we ensure that our customers receive superior start-to-finish care. We’re proud to offer exceptional service at a fair price. What’s more, we charge what we quote. Full transparency: there are no hidden fees. With the guidance of our experts, you will invest in kitchen cabinetry that sets your home up for every level of cooking success. It’s simple to find the perfect addition to your interior when you get start-to-finish guidance from our team. Any style, any budget, any space – we have a solution for you! Turn to our team for superior craftsmanship and quality that lasts. Call us 24/7 to take action against flooding and water damage. Make every tile shine with our deep clean solution. You'll be amazed at the difference our cleaning makes! We extract dirt, dust, and other debris to make your carpet soft and spotless! Don’t live with those eyesores – get them removed, instead! Our team has the experience to remove nearly ANY stain from your surfaces. Curtains, couches, chairs, and more are makeover-ready with our team on the job. Pets leaving behind unwanted odors? There’s a solution for that – and we deliver it. We care about the community we serve. 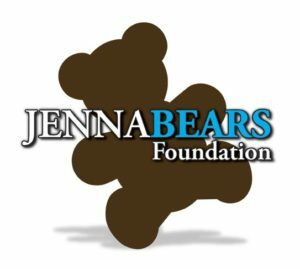 That’s why we’re a proud sponsor of Jenna Bear’s Foundation, an organization committed to helping children and families in need. Revamp Restoration is not a licensed contractor.